Talk will discuss the use of ECMO as advanced cardio-pulmonary resuscitation in the setting of refractory cardiac arrest. The aim will be to provide useful information for those already experienced in ECPR as well as those with no experience but an interest in establishing an ECPR in their adult centre. Topics covered will include the rationale for the use of ECPR , the evidence base and current Australasian practice. 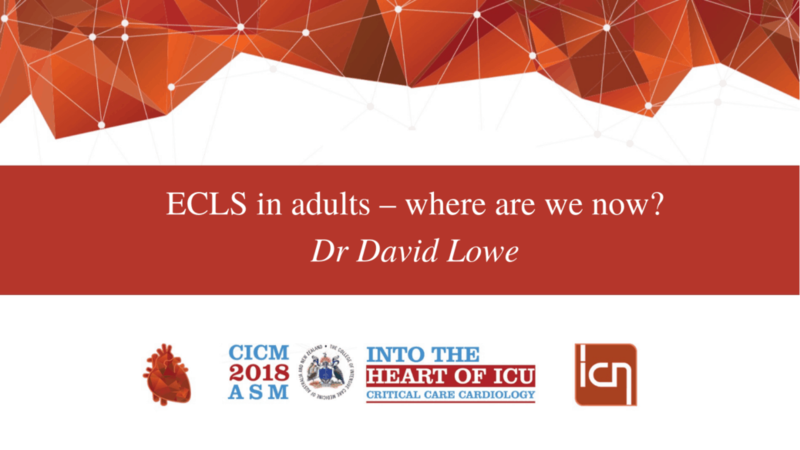 Practical issues re patient selection , cannulation , post cannulation management of haemodynamics , monitoring and ongoing management of the ECPR patient will be covered. Potential future directions for ECPR will conclude the talk.